Paula is widely recognized as one of the top analysts in the retail industry. She is a co-founder and Managing Partner at RSR. She formerly served as an analyst with AMR, Aberdeen and RSAG. Previous to that, Paula spent over 20 years as a retail technology executive and CIO at companies like Hit or Miss, Morse Shoe Inc, Domain Home Fashions, and iParty. She also helped pioneer automated flat and hanging garment sortation systems while employed at SDI Industries. 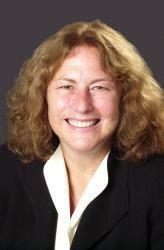 Paula received her MBA in 1991 from Northeastern University, with a major in management of High Technology firms. She was nominated to the Beta Gamma Sigma honors society. Follow Paula on Twitter as paula_rosenblum.